Ralf Hildenbeutel and long time production partner A.C. Boutsen aka Matthias Hoffman are the guys behind the massive Cygnus X guise which brought us all the hit single Orange Theme, Superstring amongst others. Little do we know of their various other production guises such as Schallbau, Ralf's work with Sven Vath, guises such as Curare, Odyssee of Noises and numerous others. 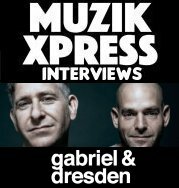 Their work since the middle of the revolutionary german electronica era of the 80s and 90s has become some of the pioneering tracks within both trance and techno. The label Eye Q was founded by Sven Vath and A.C. Boutsen aka Matthias Hoffman over a decade ago and has since been put out of action several years ago but has long stood to be one of the top dance labels in Europe. Credit to Stefan Sell @ http://www.tursa.franken.de/Schallbau_discog.html for his work on the Schallbau discography.